Can you believe that in just a week The Goonies is going to be 30 years old? To help commemorate the film’s anniversary there’s actually going to be a celebration in Astoria, Oregon, in early June, where you can also buy these adorable stuffed (and officially licensed) versions of Chunk and Sloth from Gordos Plush. If you haven’t seen the film and don’t understand why this is awesome, you need to stop whatever you’re doing and go hunt down a copy right away. (Unless you’re reading Toyland, in that case you can go and find a copy of the film when you’re done.) 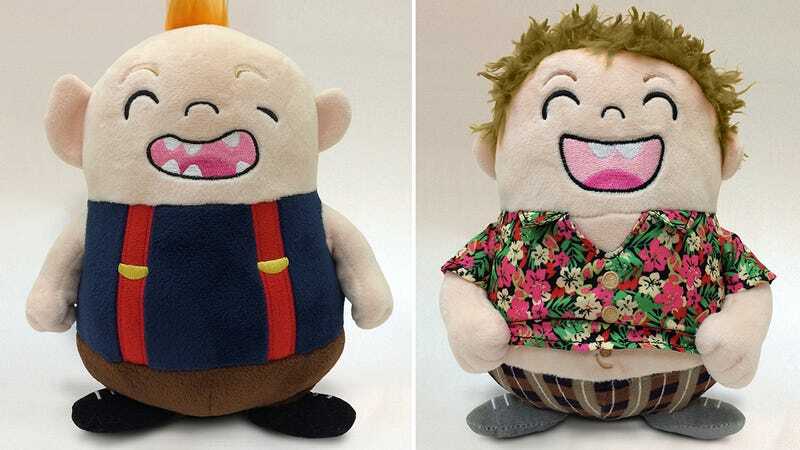 Both Chunk and Sloth will sell for $25 each once available, but they’re actually just the start of Gordos Plush’s Goonies line.